Those who, like me, are avid PBR drinkers probably noticed something a little different about their tallboy six-packs this summer. The fine people over at Pabst Blue Ribbon released their inaugural PBR art can, a design by Denver artist Josh Holland featuring a cartoonish collection of cats, birds, and PBR cans (meta). A contest is currently open for the design that will grace the sacred aluminum of next year's limited-edition art cans, but some local artists have decided not to wait that long. Tonight Galerie F is hosting "PBRart CANvas," a group show featuring tallboy PBR cans designed by local street artists including Pete Ziegel, Max Weber, ABC Kills, and Penny Pinch, just to name a few. 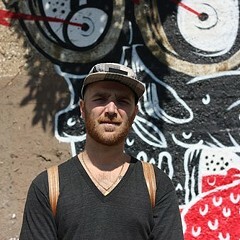 "I really appreciate adapting my art to different objects," says Sentrock, another artist involved in the show. "It allows the art to take on a different life. I also really like taking an iconic product like a beer can and giving it my spin." Inspiration for the pieces ranged from music to animals to "flying and escapism." The center of Chema Skandal's design is a cardinal riding a bike; Jeremy Scheuch focused on the iconic ribbon logo and added his own twists from there. Almost all maintained the patriotic color scheme, even with some not-so-patriotic designs. 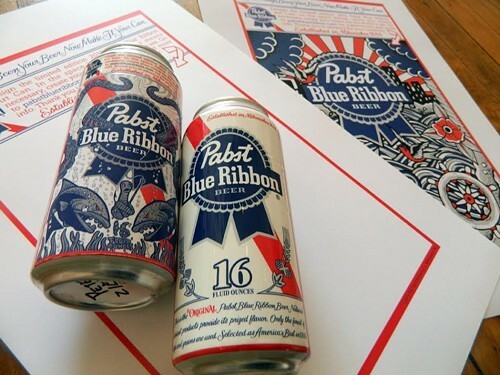 An informal poll of a few artists involved proved they know the product well; all are avid PBR drinkers. And all 21+ guests at tonight's opening reception will get a complimentary brew. As Sentrock says, "Any art show that has PBR is going to be a good time for sure." "PBRart CANvas," Fri 7/11, 7-10 PM, Galerie F, 2381 N. Milwaukee, galerief.com, free.